MANILA, Philippines — It's a four-day long weekend and my family and I are off to Baguio. 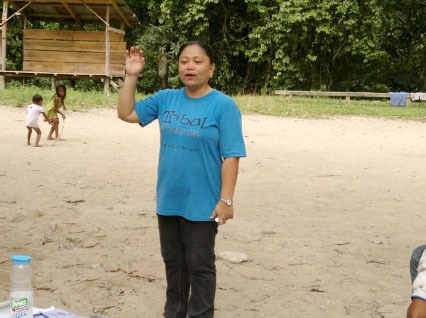 We're bringing along Bebeh and her mom, our trusted house-help for 25 years. It's actually the first time in 10 years that I'll be vacationing again with my parents! It was also for these reasons (the last one, in particular) that I gave up a secret solo trip that I booked. In fact, I was supposed to fly out tonight. I just hope that I made the right decision. Let's see how Baguio turns out! No expectations. The grown-ups have been doing all the planning and I'm just going with the flow. For a change, the only planning I've done is on what I'll be wearing. PALAWAN, Philippines — There's a lot to buy in Coron but nothing really unique to the place. If you're looking for a cashew product that's pretty uncommon, try bandi. 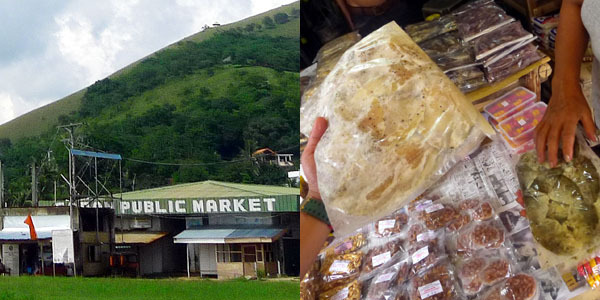 It's a native delicacy that's subtly sweet and reminds me of pili nut brittle. 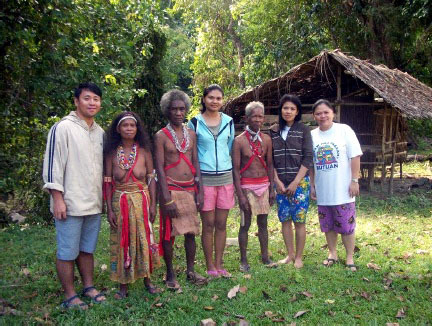 Coron's pride. 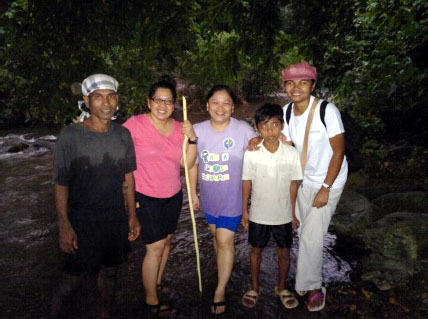 With Lita Escarda (center), the first person to market cashew nuts in Coron. She's literally a tourist attraction! Look at all the photos with famous personalities at the back! 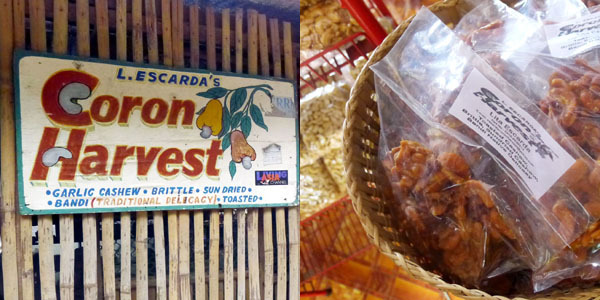 In general, roasted cashews in Coron are twice as expensive compared to Puerto Princesa. A big bag sells for Php 350 while the same size sells for Php 180 in Puerto Princesa. But I'd still recommend buying it. 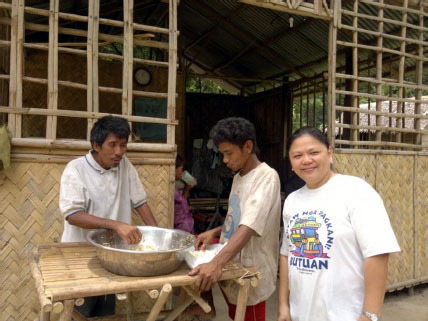 After all, Palawan is the cashew capital of the Philippines. There's a lot of woodwork talent in Coron. Necklaces here are very intricate and unique. So are the other items on display! A bit pricey, though. 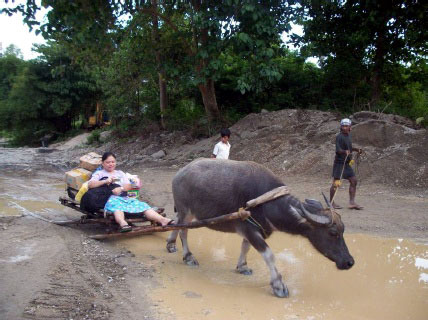 I noticed that the danggit in Coron is extra large. Ate some for breakfast and it was pretty good! My friends bought these as pasalubong. I didn't bother buying since we don't eat danggit at home. Vendors pack it extra well so it can be taken on the plane. 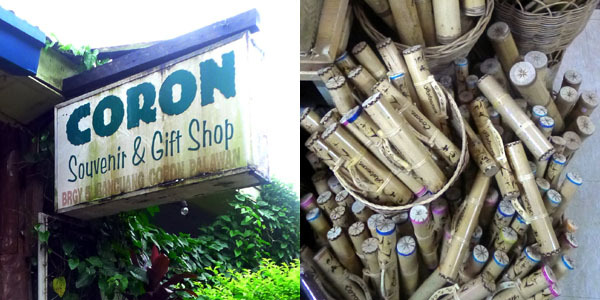 We stopped over at the Coron Souvenir & Gift shop. My friends bought a lot of stuff. I didn't buy anything since nothing really amused me. 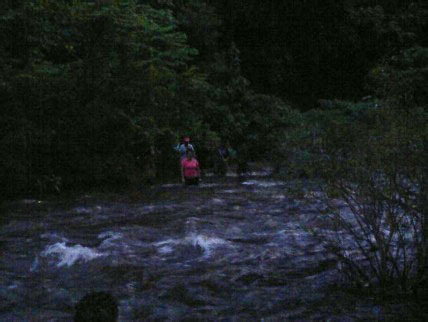 It's more fun-tastic in Subic. OLONGAPO, Philippines — It was one of those trips where we left town for the day without an itinerary. 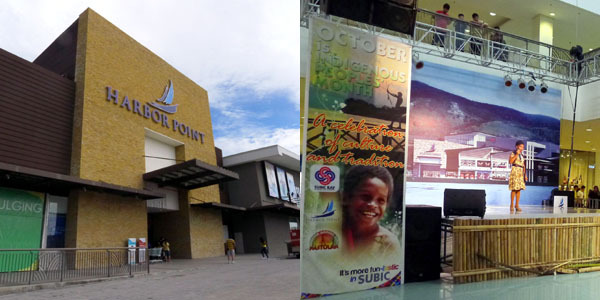 It's more fun-tastic in Subic? Yesterday, it was. 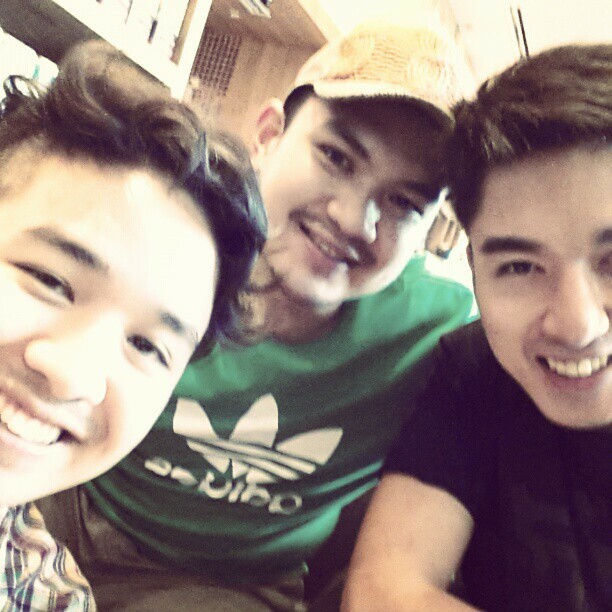 After a late breakfast at McDo Katipunan, we were off. Perfect weather for a road trip! We had a late lunch at Xtremely Xpresso Cafe. 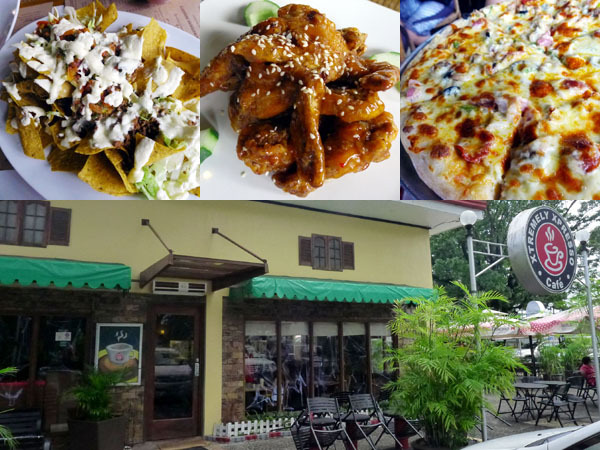 On our plates: nachos, chili wings, and the Big Albino Ben pizza. Go for the albino if you're into white-sauced pizzas. Late lunch at Xtremely Xpresso. After getting caught by a traffic enforcer for not stopping when there was a stop sign (yes, it's strict in Subic), we went to walk around in the new Harbor Point mall. 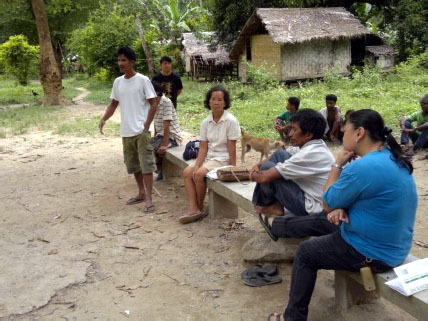 There was a singing contest among the indigenous people as part of the IP month celebration. We won't forget that one contestant who was an instant crowd pleaser. Let's just say she sang her heart out. People went out of the shops just to see what the commotion was all about! 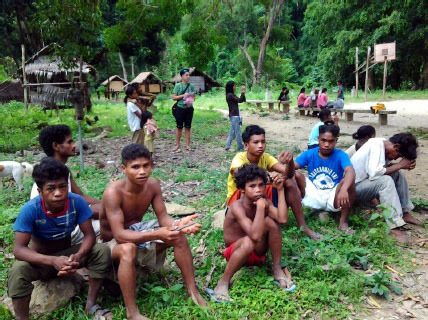 Indigenous people participated in a singing contest to celebrate Indigenous Peoples' month. And as if we weren't stuffed yet from lunch, we had dessert at CBTL. Still without an agenda for the afternoon, we drove aimlessly around town. Philippine Flag near the waters. We ended up in Camayan Beach. There's a Php 300 fee to go and swim but for those who just want to walk around, pay a Php 10 "washroom fee". 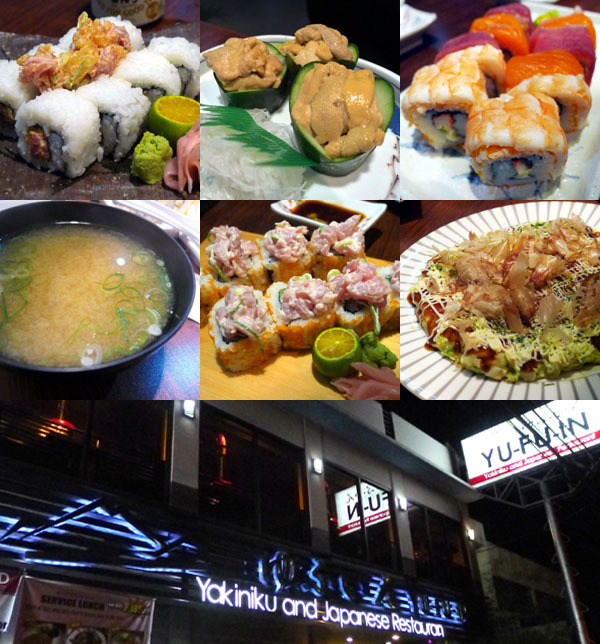 Before heading home, we dropped by Angeles City for Japanese food. 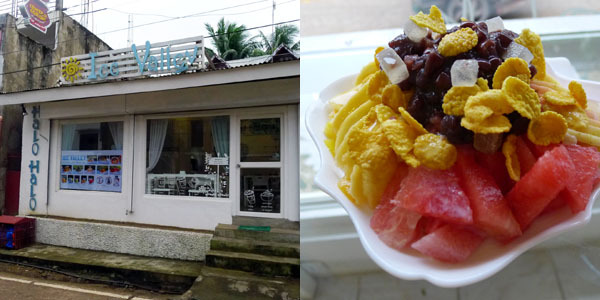 Yu-Fu-In is fairly new and the food is to die for. The presence of Japanese people there tell me that the food tastes authentic. Aside from sushi, try ordering the uni (sea urchin) and okonomiyaki (Japanese pizza)! We capped the trip by hanging out at one of our comfort zones: Cantina in Katipunan. Can you guess which drink is mine? 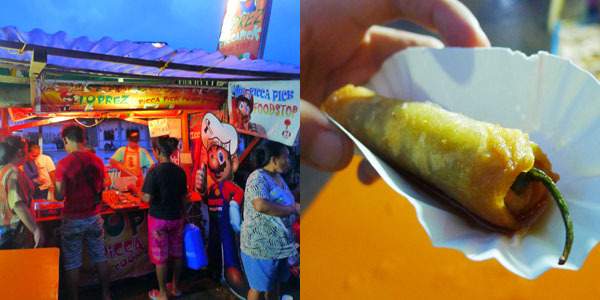 PALAWAN, Philippines — Maybe my taste buds were acting up but I didn't really enjoy the food in Coron. The food tasted... well, normal. Average, perhaps. It was generally expensive, too. 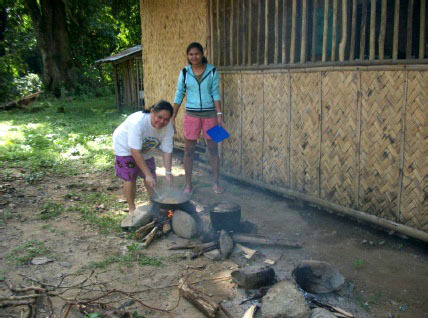 Meals averaged at Php 250. Good thing the restos were walking distances from each other. 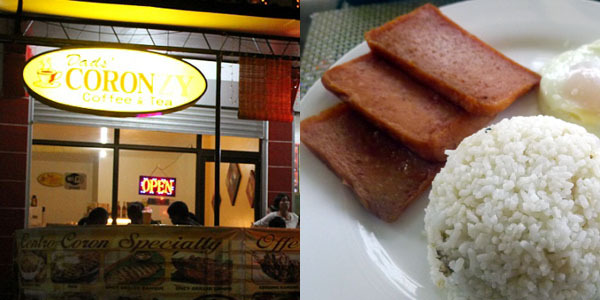 This is the place to be if you're not into Filipino food and you'd like to see foreigners. Wi-Fi is free, too! Food is pretty good compared to others and there's a wide variety of choices. Try the spicy chicken carbonara. The sauce is a bit wet but it's not bad. Look at the chili! 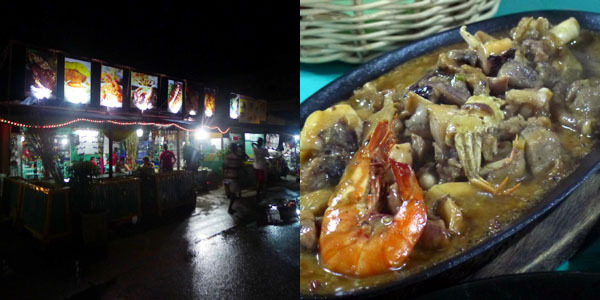 It's an ideal place to pig-out after snorkeling the entire day. Servings are quite big. Pizzas here are said to be the best but I'd like to try the ones at Sea Dive before concluding. 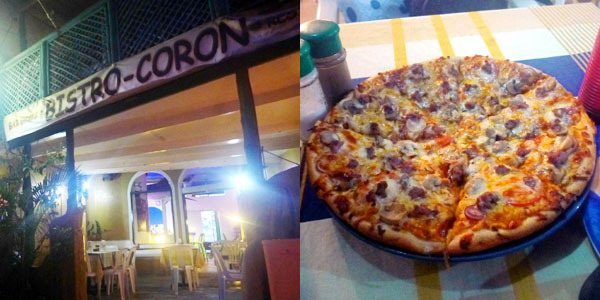 Order the Bistro Coron Special. The 10-inch pizza is Php 299. Can't believe I finished it by myself. 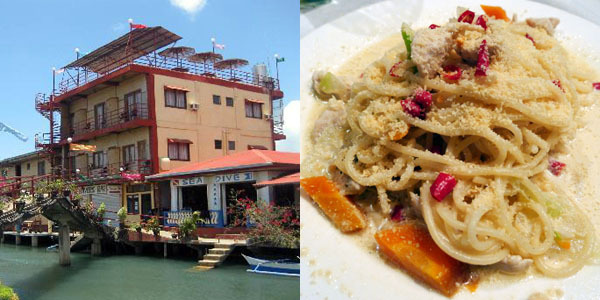 There are lots of little eateries here for those with extra tight budgets. I walked around and saw the locals crowding around this food stall. I ended up snacking on a fried jalapeno stick. Can't remember how much it cost. Php 12? 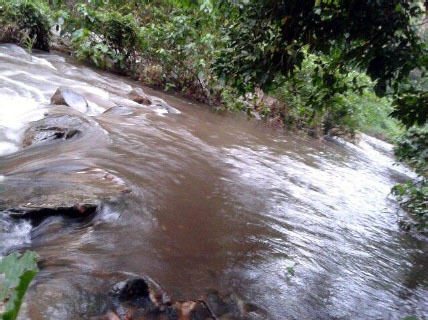 It's a quiet little place that it isn't really known. The food here is quite good and very affordable, too. The downside is that it's a longer walk from the port area. Their specialty is the chicken binakol. 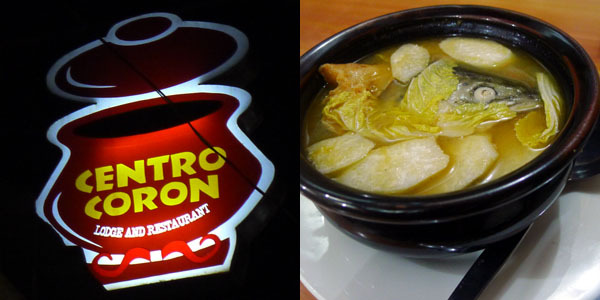 It's a chicken soup dish similar to tinola. Php 100. The place known for its sizzling plates. Average meal here is Php 250. Try its famous Sultana Plate. It's a mixed seafood sizzling plate. Not bad, though I'm not a fan of seafood. I think this is the only dessert place in town. It's a cute place to hang-out in for merienda or after dinner. I came mostly for the air-con and free Wi-Fi. The mixed fruit halo-halo is ideal for sharing. Fortunately (or unfortunately), I didn't have anyone to share it with. It's Php 250. To me, this seemed like the ideal breakfast place just because they served homey breakfast items and is near Xpedition, the place where I booked all my tours. I think I ordered the Maling-silog. 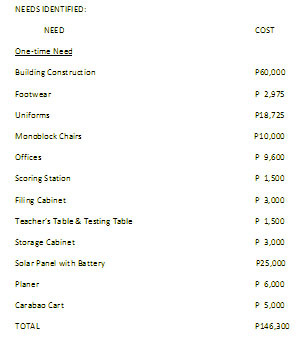 It cost roughly around Php 120. 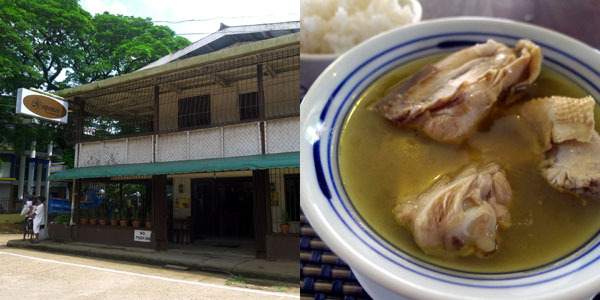 The place boasts of pink salmon and its many health benefits like helping prevent cancer, alleviating arthritis and reducing the risk of heart disease. There I was convinced that pink salmon was a specialty of Coron *facepalm*. But really, it's imported from a different country. Order the Pink Salmon sa Miso. 2-3 people can share this. Cost is Php 350. Why don't you give these a try? Maybe my taste buds were really screwed at the time. I won’t deny feeling kilig (giddy?) 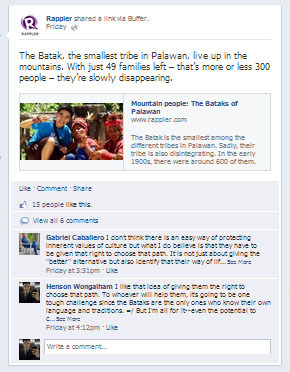 when my entry on The Bataks of Palawan was reposted on Rappler. Perhaps it was seeing that byline—something that I never imagined on any publication. Writing has always been one of my insecurities. 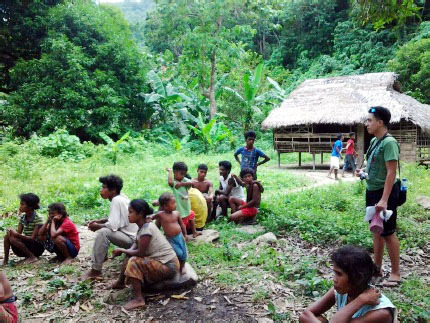 But beyond the giddiness, I felt a sense of fulfillment and hope—that through a humble entry, people would learn about the Bataks, their problems, and how they can be of help. 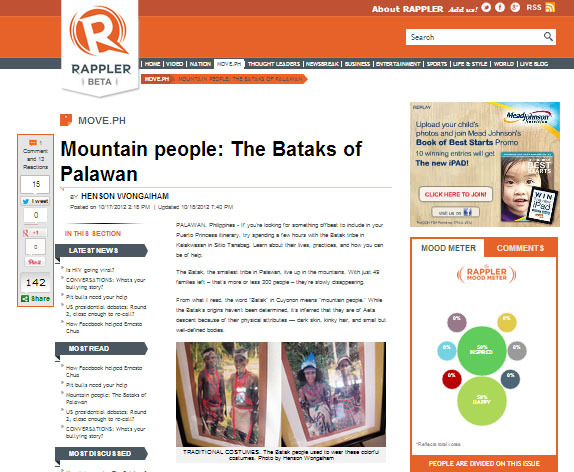 My entry on the Bataks of Palawan reposted on Rappler! I was glad that some people commented and asked questions about the article when it was shared on Rappler's Facebook page. It meant that somehow, they cared. It was a fun discussion. Engaging readers in a friendly discussion. Say hello to Boy Wander 15 pounds ago! The little write-up about me at the end of the article. I remember starting this blog as a trivial outlet because I was heartbroken. 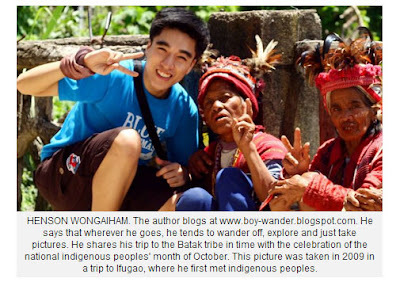 Then it evolved into what it is now: Boy Wander, a travel blog that chronicles my wanderings while helping people plan their trips better. Perhaps it'd be nice if this blog went beyond helping people plan their trips. What if it could spark change as well? Could Boy Wander give a voice to the voiceless? Help raise awareness for issues that deserve attention? Serious food for thought here.